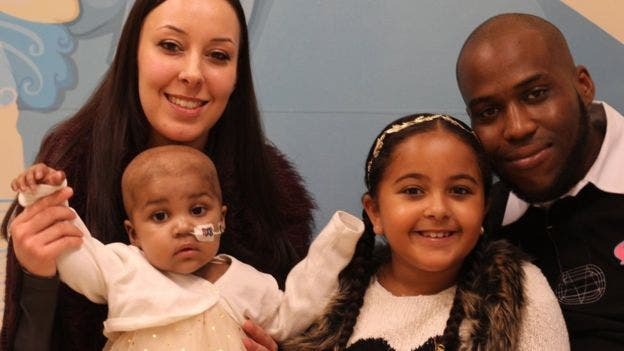 When one-year-old Layla Richards, from London, was diagnosed with an aggressive strain of leukaemia, the word ‘incurable’ struck like a hammer. But thanks to an innovative approach that worked even better than expected, she now has all the chances to grow healthy. Medical staff, in conjunction with the biotech company Cellectis, had one last treatment in mind, and they acted on it fast. The treatment is called designer immune cells, and it uses micro-scissors to precisely engineer the DNA inside a donor’s immune cells. Basically, instead of adding the new genes to fix the problem, they try to edit the existing genes. The treatment worked incredibly well. Just months after her parents learned that Layla has incurable cancer, not only is she alive and well – but there is no detectable trace of the disease in her body. He described this evolution as “almost a miracle”. In fact, it’s not even clear why this treatment worked out so good. Her story was shared at the American Society of Haematology, but this is only a single case – medics are now discussing the possibility of clinical trials, to better test and understand how this technique works. But the progress is phenomenal, and likely not a freak accident.